Son Eric Murphy knows how I love elegant solutions–and life hacks– to seemingly complex problems. 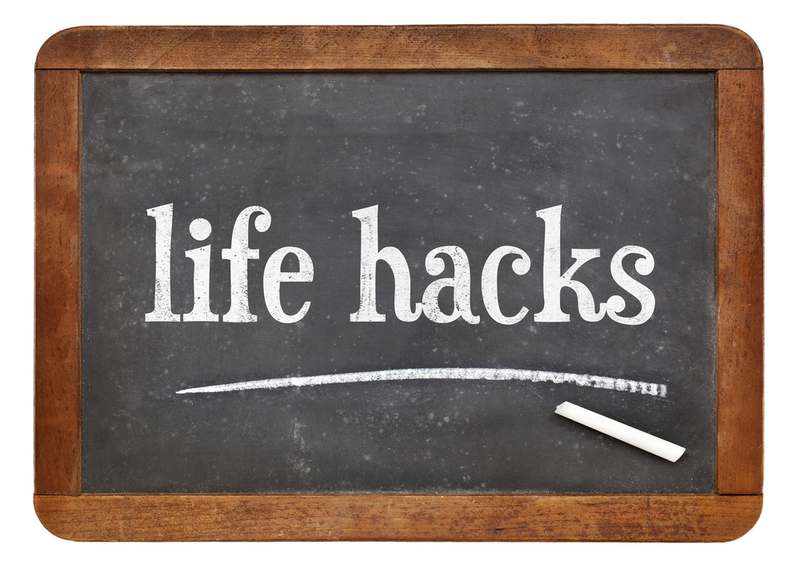 This afternoon he sent to me a link not with not one–but 100 life hacks that can solve myriad problems and entanglements–not only for me, but for our San Diego real estate clients as well. One of the life hack includes using a staple puller to add keys to separate those pesky key rings that tend to break fingernails. Or using an over-the-door hanging shoe rack to store cleaning supplies in the laundry room–and toothpaste to clear up hazy car headlights. And my favorite: To clear built-up residue off crusty shower heads, tie a plastic baggie full of vinegar around the shower head and leave it there soaking over night. Wake up to a sparkling clean shower head–and long hours of scrubbing saved! Read and enjoy–but beware though, you may become a compulsive hoarder of empty toilet paper rolls, paper clips, walnuts, plastic bottles, old suntan lotion containers, clothes hangers and even those little plastic tabs that close those bags holding bread. You might b also become known as a hoarder. Here’s a link you’ll want to save! Another easy life hack : You Can Easily Search San Diego Homes for Sale!